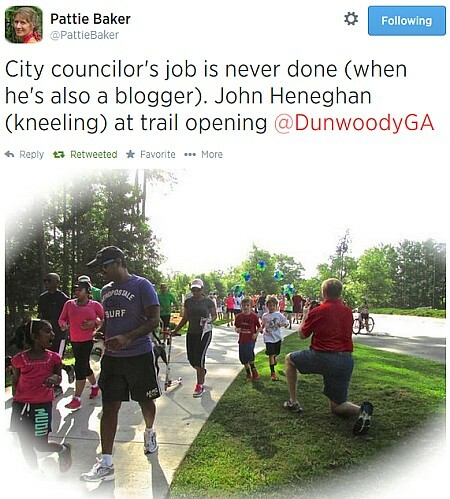 As soon as the announcement that DeKalb County Commissioner Elaine Boyer was resigning, names of possible replacements started pinging off the various corners of the internet. The name at the top of the pile with the best chance of winning and effecting positive change within the County is that of former DeKalb County School Board Member Nancy Jester and in a blog statement copied below she is now considering the position. The now former, DeKalb County Commissioner, Elaine Boyer is facing Federal charges and likely, a jail sentence, for stealing the public’s money. Recently we also learned that Commissioner Sharon Barnes Sutton has a proclivity for paying her boyfriend to “consult” for her. Last summer’s indictment of the CEO was, apparently, just the tip of the iceberg. In fairness, other counties and government officials outside of DeKalb haven’t been immune to corruption and bad decisions. But, here, in DeKalb, the sheer volume is proving that incompetence and corruption are the norm rather than the exception. Many friends, citizens and leaders in DeKalb and around the state, have urged me to run for this vacant seat on the Commission. I am giving this careful consideration. 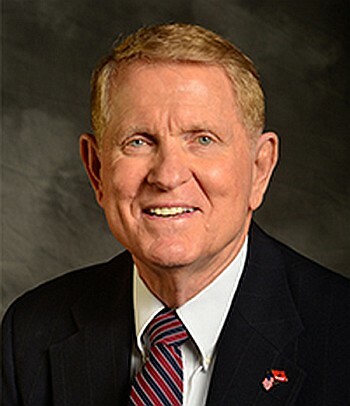 The county as a whole needs sound, disciplined, and effective financial stewardship. The new District 1 Commissioner must work to reestablish public trust. That’s going to take hard work and new ideas about what the public should expect from elected officials and government workers regarding disclosure and transparency. Confidence in DeKalb government has been shattered. I’m a small government conservative. I also believe that the operations of government should be carried on with a vigorous commitment to competence and credibility. Right now, we have the worst of both worlds; bloated government that has shown to be incompetent and corrupt. As I consider this office, I have thought about what I would do for the citizens of District 1 and DeKalb as a whole. Of particular importance to me is the need for real-time financial disclosure of government agencies and offices. Other states have implemented on-line check registers that show how your tax dollars are being spent on a daily basis. 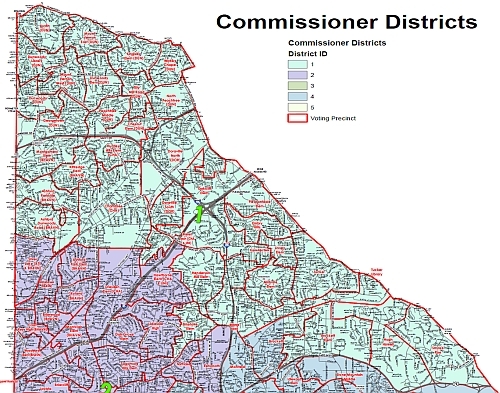 If I were a DeKalb County Commissioner, I would institute an on-line check register for my office. Had this been in place, it would have been difficult, because of the immediate disclosure, for a commissioner to abuse their p-card by paying for personal expenses. It would also have provided an uncomfortable spotlight on the consulting fee/kick-back scheme as it was happening. It’s simply a good idea for the public to have easy, timely access to how their money is being spent. In addition to improved disclosure, I would seek to lower the cost of the commissioner’s office and rebate that back to the taxpayer. I would continue my habit of hosting community “Coffee Talk” – something I’ve done for several years both as a citizen and an elected official. I would examine the budget with the same level of scrutiny that I brought to the DeKalb school system. That scrutiny resulted in me being the first person to recognize and document that the school district’s budget was, at best, a weak suggestion on how to spend money and, at worst, a document based on deception. I routinely published my findings on my website. Dealing with the budget and the entrenched opposition to correcting the spending problem was difficult and unpopular. But it was the right thing to do even as it came with consequences that affected me. Elected offices do not belong to any individual. They belong to you. It is the job of an elected official to do the right thing especially when it is difficult. It is the job of an elected official to protect and, indeed, enhance the credibility of the office. That’s the way it should be and one Commissioner can show the way. 7. That is all from here this afternoon. I trust all of you will be enjoying yourself with family and friends this beautiful Labor Day weekend. Remember we are all neighbors so lets be kind to each other. Please pass this update on to your friends, neighbors, members of your HOA and anyone you think maybe interested. If you would like to be added to my update email list just let me know and I will make that happen. I appreciate your thoughts and comments so keep them coming. to hear from you! Become an active part of your local government by sharing your thoughts and ideas at the Citizen Connection Meeting for District 1! This is the chance for District 1 residents to participate in authentic conversation with their representatives, Councilman Terry Nall and Councilman Denny Shortal, on pertinent community issues related to District 1. Topics are selected by the participants. I will be missing this event for a school function that takes priority (three boys in three schools) so I look forward to reading others recaps. Thanks. YOU ARE HEREBY NOTIFIED that the DeKalb County Board of Registration and Elections do hereby call for a special election to be held on November 4, 2014, to fill the vacancy in the office of DeKalb County Commissioner, District 1. If a runoff is required, it will be held on December 2, 2014. 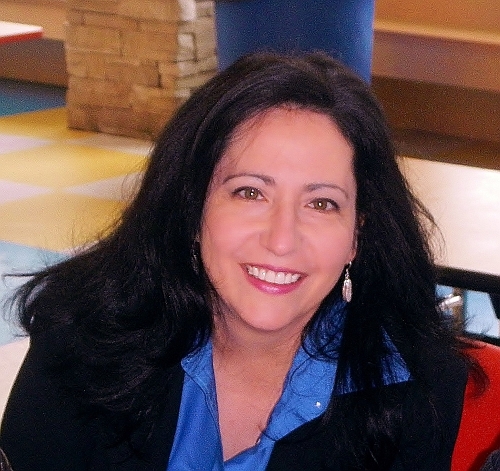 The special election will be held to fill the unexpired term of Elaine C. Boyer, who has resigned. Qualifying is to begin on Monday, September 8, 2014 at 8:30 AM and end at 12:00 Noon on Wednesday, September 10, 2014. The qualifying fee is $1,151.24. Qualifying will be in the office of the DeKalb County Board of Registrations and Elections, 4380 Memorial Drive, Decatur, GA 30032. The last day to register to be eligible to vote in this special election is October 6, 2014. The special election will be held in all the regular polling places in Commission District 1, DeKalb County, in conjunction with the General Election. The polls will open at 7:00 AM and close at 7:00 PM. If a runoff is required, it will be held on Dec. 2. This call is issued by the DeKalb County Board of Registration and Elections. Video - go West young man! 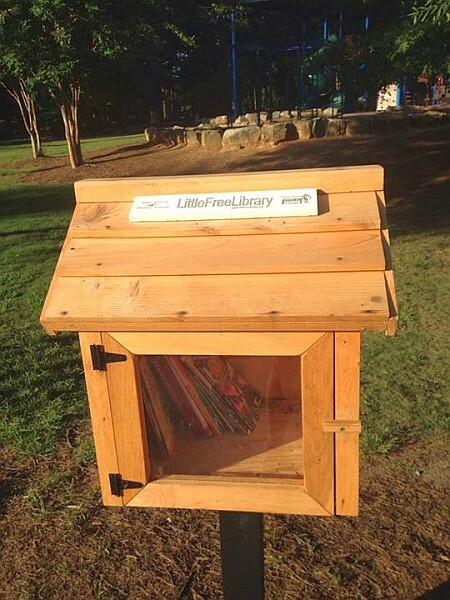 A Little Free Library has opened near the Brook Run Playground in Dunwoody. http://littlefreelibrary.org - take a book / return a book. Council Members at the new Brook Run Trail grand opening. Join us at the 5th Annual CV Classic here at Peachtree Charter Middle School (PCMS). Both courses will start and end on the PCMS track. 5K begins at 8:00 am and 1 mile Run/Walk begins at 8:30 am. As part of our theme "Commit 2B Fit", Northside Hospital is offering FREE screenings for persons over 18. Registration forms are available at http://www.peachtreechartermiddleschool.org/cv-classic-registration---2014.html. Individual registration is $20 by September 5, $25 Sept 6-Oct 18; family sponsorships are available for $100 (includes two registrations). All proceeds will go to the PCMS Foundation to provide a school nurse for our students. Race Number Pickup: Thursday Oct 16th from 4-6 PM, Friday Oct 17th 10am - 2pm in PCMS gym. Race numbers are also available day of event starting at 7am. Parking available at Peachtree and neighboring Chesnut Elementary. 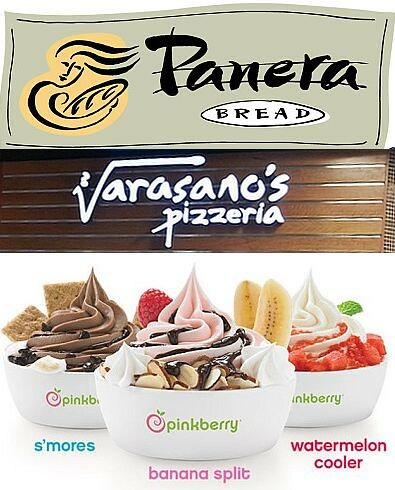 Panera Bread, Pinkberry and Varasano's Pizzeria will add dining options to Perimeter Mall in Dunwoody. 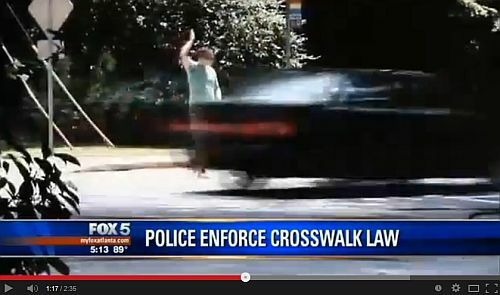 Dunwoody Police ticket 19 for crosswalk violation on Tilly Mill at Andover. Lights alone are not a perfect solution. Presentation of Atlanta Paint Recycling Award. 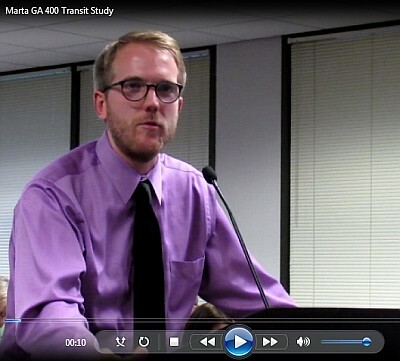 MARTA GA 400 Transit Study Presentation. Presentation of CVBD Mid-Year Budget and Financial Report. Award of Contract With Federal Signal for Public Safety Video Project. Resolution Streamlining Resident Catering License Fees. Approval of Agreement with Georgia DOT for Signal Communications Network Project. Vernon Lake Drive, Dunwoody, GA 30338. The Tax Parcel Number is 18 374 03 017. Original application docs provided to Council - excluding legal interps? Discussion of Six Month Review for City Code Chapters 16, Land Development, and Chapter 27, Zoning. Award of Contract for Replacement of Playground Equipment at Windwood Hollow Park. Approval of Renewal of an Intergovernmental Agreement with the Chattahoochee River 911 Authority for 911 Call-Taking and Police Dispatching. The Trail Loop is complete! Join us for the fun (3K-ish) run, walk, and roll. We are celebrating the completion of the Brook Run Trail and want to celebrate with you! This event is open to participants of all ages and abilities. The run/walk is not timed. 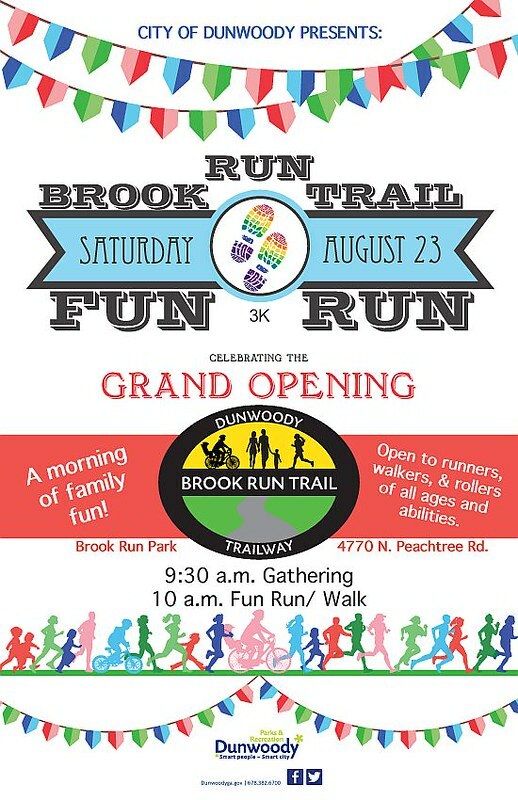 It is time to have some fun and celebrate the GRAND OPENING of the Brook Run Trail! Join us for the fun 3K(ish) run, walk, and roll along the completed trail loop. We’ll begin gathering at 9:30 a.m. with the ribbon cutting and run/walk/roll beginning at 10 a.m. The Trail Fun Run start and end location is located near the main entrance to the playground. Participants are asked to meet in the parking lot between the playground and skatepark. This event is open to participants of all ages and abilities. Water and refreshments will be available and registration is not required. We look forward to seeing you at the Trail Fun Run celebration! While it's no less affluent these days, this city of 46,000 has started to more closely resemble an urban core, with 28 million square feet of office space — more than downtown Atlanta — a major regional mall and satellite shopping centers, and a bevy of popular dining spots. Dunwoody also boasts the 100-acre Brook Run Park, home to a world-class skate park. Today, Creative Loafing launched the Atlanta City Guide, a project roughly nine months in the making. The name is pretty self-explanatory — the Atlanta City Guide is an insider's guide to the city. But it's more than just some top 10 list (although it does include those). The Atlanta City Guide contains information on more than 1,000 locations in more than 40 ITP and OTP neighborhoods via streamlined new web and mobile sites. The Atlanta City Guide can also be found in print as a condensed annual edition in select locations around town, at visitor's centers at state lines, and as an e-publication on the Atlanta City Guide site. We wanted to create a resource that would be equally useful to locals, visitors, and new residents, so the Atlanta City Guide contains everything from major attractions and annual events to interesting new restaurants and under-the-radar neighborhood hangouts. We'll regularly publish See & Do lists (gotta get in on that Internet list game) as well as Q&As with locals to help you find new places to try. I've lived in the city for eight years and I'm the editor of Creative Loafing and I regularly draw blanks on where to go for dinner or drinks. The Atlanta City Guide will help me be less flaky. It can do that for you too. Cityguideatlanta.com is organized to make it easy for you to find what you're looking for, even if you don't know what that is yet. Save your favorite locations and make custom lists of different places that you want to visit. The beautiful photography for each location allows you to glimpse a spot before dropping by. My favorite part of the project is probably the new mobile site. It's good looking and easy to use — something that's important to me because I use my phone constantly, as I'm sure many of you do too. My wife Kristin and I were both challenged within the last day or so to do the ALS Ice Bucket Challenge therefore we decided that the couple who gets dunked together - stays together. In other words, we had fun laughing at ourselves, we raised the issue of Amyotrophic Lateral Sclerosis (ALS) which is a progressive neurodegenerative disease that affects nerve cells in the brain and the spinal cord, and we donated a few funds to a worthy cause close to home that could really use the support. Enjoy the video and a special thanks to my lovely bride for being such a good sport! 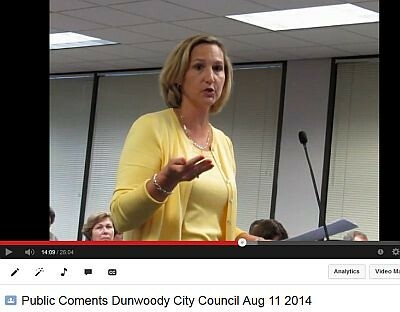 The City of Dunwoody is committed to providing the highest quality services to the citizens of our community. In an effort to sustain our service levels, strive for excellence, and push for continued improvement, the city developed Key Performance Indicators for each department and government service contract. The data included is a highlight of some of those performance and workload measures and is designed as a window into the activity levels in City Hall for the first six months of 2014. Interesting Dunwoody related items to cross my desk. Common Core Meeting comes to Dunwoody High School tonight. State Board of Education member Barbara Hampton will host a public hearing on Common Core Tuesday from 7 p.m. to 8 p.m. at Dunwoody High School. 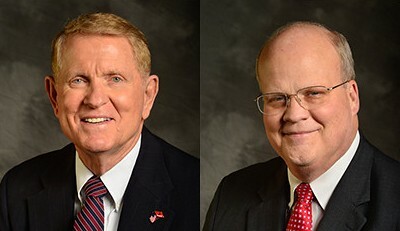 The hearing will be the second hosted by state board members, who have been ordered by Gov. 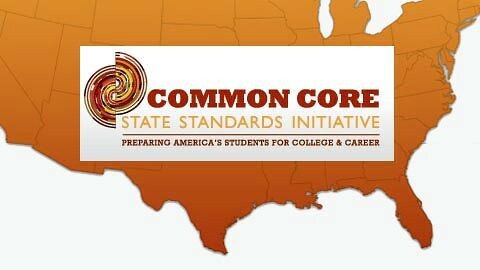 Nathan Deal to review the national set of academic standards known as Common Core. To speak at the hearing, Board of Education officials say those attending must sign in upon arrival. You can contribute to the education fund of the 13 year old daughter of last week’s murder suicide victims. 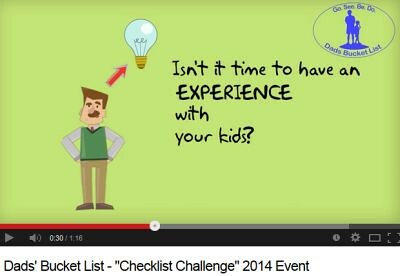 I am a huge fan of Dads' Bucket List - and really looking forward to the "Checklist Challenge" happening at Brook Run Park in Dunwoody on Saturday October 25th and the early bird registration ends on August 31st. Wives, do yourself a favor and register Dad and the kids now as there is limited football happening that day (Georgia off week). Prices go up soon. Coffee with a Cop - The Dunwoody PD are a positive part of our community! Dunwoody High School to host charter system hearing on Thursday, Aug. 28, 6 p.m.
DeKalb County Subcommittee on Incorporation and Annexation - Wednesday, Aug. 20, at 6 p.m.
08-08-14 Cambridge Dr. (SB) @ Courtleigh Dr.
07-30-14 Dunwoody Club Dr. (EB) @ Jett Ferry Rd. 07-21-14 Vernon Ridge Dr. NB @ Vernon North Dr.
07-14-14 Old Springhouse Ln. (WB) at Old Georgetown Trl. 04-22-14 Vernon Lake Dr (NB) @ Houghton Ct.
04-07-14 Winters Chapel Rd. (SB) at Winterhaven Ct.
04-01-14 Trumbull Dr. EB @ Meadowlake Dr.
03-17-14 Wickford Way (NB) at Mt. Vernon Rd. The Pub is now open - 4400 Ashford Dunwoody with nice menu. Information for I-285 at SR 400 Interchange Reconstruction with Drawings. Meetings Tuesday / Thursday at Dunwoody Baptist. General Description: The proposed project would include operational improvements along Interstate 285 (I-285) and State Route (SR) 400 in the vicinity of the I-285/SR 400 interchange in Fulton and DeKalb Counties. The proposed improvements would include construction of barrier-separated collector-distributor (C/D) lanes along I-285 and SR-400, reconstruction of existing ramps, and new flyover bridges, as well as reconstruction and widening of existing bridges in the interchange area. Grade-separated, braided ramps would be constructed in the vicinity of Ashford Dunwoody Road and Roswell Road to eliminate conflicts between traffic entering and exiting SR 400 and traffic entering and exiting the Roswell Road and Ashford Dunwoody interchanges. Tuesday August 19, 2014, from 11 a.m. to 1 p.m.
Thursday August 21, 2014, from 11 a.m. to 1 p.m. and from 5 p.m. to 7 p.m.
Reduce the substantial amount of vehicular weaving that occurs along I-285 in the vicinity of the I-285/SR 400 interchange due to the closely spaced interchanges in this area (Roswell Road, Glenridge Drive, SR 400, Peachtree Dunwoody Road, and Ashford Dunwoody Road). This weaving currently results in congestion and safety concerns in this area. Improve ramp capacity at the I-285/SR 400 interchange. The existing ramp capacity is insufficient to accommodate traffic demand, and leads to long queues approaching the interchange, which contributes to the congestion and safety concerns in this area. 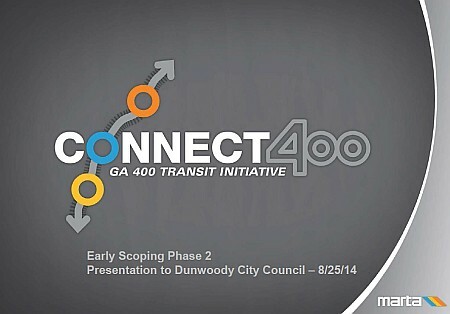 Improve deficiencies in the existing configuration of the I-285/SR 400 interchange. What is the proposed project? The proposed improvements would include construction of barrier separated collector-distributor (CD) lanes along I-285 and SR 400, reconstruction of existing ramps, new flyover bridges, as well as reconstruction and widening of existing bridges in the interchange area. Grade-separated, braided ramps (where one ramp crosses over the other) would be constructed to eliminate conflicts between traffic entering and exiting SR 400 and traffic entering and exiting the Roswell Road and Ashford Dunwoody interchanges. Drive interchange area, where it would tie into an adjacent project (Georgia DOT P.I. No. 721850). The total length of the proposed improvements along SR 400 is approximately 1.2 miles. An interesting point, in looking at the close ups, the new construction starts just to the East of the Georgetown Swim Tennis complex and they as well as some in the Georgetown community have been petitioning for sound barriers to to be placed between them and the highway. I think their case just got much stronger and maybe they could be installed as part of this project. Dunwoody Butterfly Festival is this Saturday Aug 16 from 10am to 5pm at Dunwoody Nature Center. This year’s event will feature two enormous tents - each filled with hundreds of live butterflies. join us for a day of great activities including a Birds of Prey show, live animal encounters, games, educational booths, crafts, music, food and drinks. Early member preview begins at 9:00 with general admission at 10:00. Click on the side links for a complete schedule of events, festival map, and more information from throughout the day. Plan enough time to park, take the shuttle and get your hand stamp at admissions. Pickup your timed Tent Entry wristband at the “Tickets Pre Purchased Online” tent. We recommend a 30 minute lead time prior to your tent entry. Come early! There is plenty to enjoy throughout the day, both before and after your butterfly encounter, and you won’t want to miss a minute of the fun. Plan enough time to park, take the shuttle, pay your admission, and proceed to the “Tickets Purchased Today” Tent Entry wristband area. Purchases that are made on the day of the festival include entry to the butterfly tents on a fist come, first served basis until we reach capacity. There is plenty to enjoy throughout the day, both before and after your butterfly encounter, and you won’t want to miss a minute of the fun. • Shuttles will run continuously throughout the day. • Concessions? Of course! Have lunch, a cold drink, and some frozen treats with us—concessions are cash only. There are only a limited number of available times for the Butterfly tent and once we reach capacity, we will no longer allow entry to the tents (although you can still come to the festival to participate in our games, crafts, and other activities). Click on the links on the left tab to learn more about our activities, download a festival map, a schedule of performers, concessions, parking and more! Atlanta's got talent and you can see and hear it in person at The 6th Annual Summer Concert featuring Tim Redovian Memorial Foundation scholarship winners! The performance takes place Saturday, August 16 at 7:00 pm in the Dunwoody Baptist Church Chapel at 1445 Mount Vernon Rd., Dunwoody, GA 30338. Admission is free and a reception follows the performance. The Tim Redovian Memorial Fund provides scholarships to students of the performing arts in memory of Tim, a talented young entertainer who lost his life to a rare respiratory illness. For more information visit www.timredovian.org. The Tim Redovian Memorial Fund perpetuates Tim's memory by providing financial aid to talented high school performing arts students so they can attend summer programs designed to help them develop as actors, singers, dancers and instrumentalists. 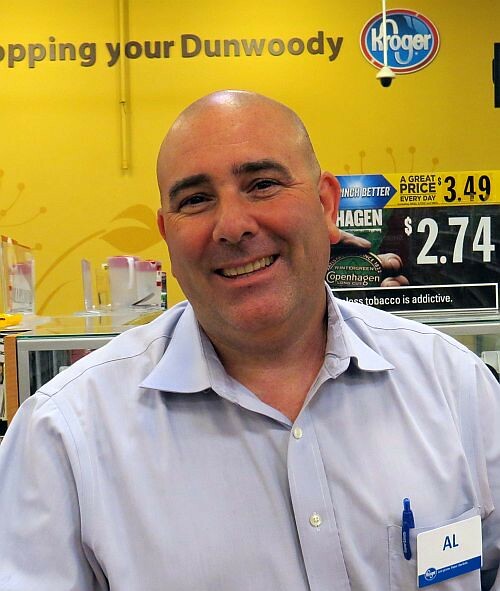 Dunwoody Georgetown Kroger Manager's Act of Kindness will not be forgotten by a frazzled mother of four. I noted a wonderful feel good story on Facebook as told by my neighbor Mrs. Sherrie Gonzalez-Rubio that really touched me and after talking to her, she has gladly allowed me to share the story on the blog. Sherrie is a mother of four children and she recounts a recent frazzled trip to the Georgetown Kroger, during the evening rush with children in tow, where she forgot her wallet. After panicking a bit searching through her belongings, looking for a way to pay, with the line behind her growing ever longer; the store Co-Manager Mr. Al Landi came up to her and said to take the groceries home and pay at a later date. "Here is another lesson I learned from this. I need to be a more gracious receiver. When he offered this, I of course took him up on it, & thanked him profusely, but kept stammering about how sorry I was, and embarrassed I was, & I would get back ASAP to pay him. I left feeling very grateful, but also embarrassed that I was leaving with groceries I couldn't pay for. How selfish of me! Someone did something amazing for me, & I let my ego take over. LAME! While I thanked him, not once did I tell him that he really made my day, or that people like him are what make the world a better place." 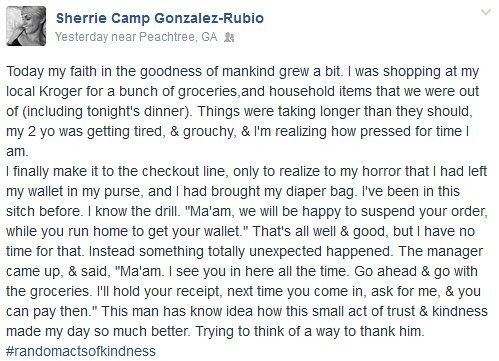 Sherrie's timeline has filled with "Likes" and numerous comments about how this small gesture of kindness was an amazing gift to a frazzled mother who was just trying to put dinner on the table. I believe a personal heartfelt thank you was given to Mr. Landi earlier tonight and if I know Sherrie, Al got a huge hug. Kudos Mr. Landi, you have cemented the loyalty of many neighborhood shoppers with this one kind act and in doing so you have personally returned the word "community" to the neighborhood grocery store. Thank you. 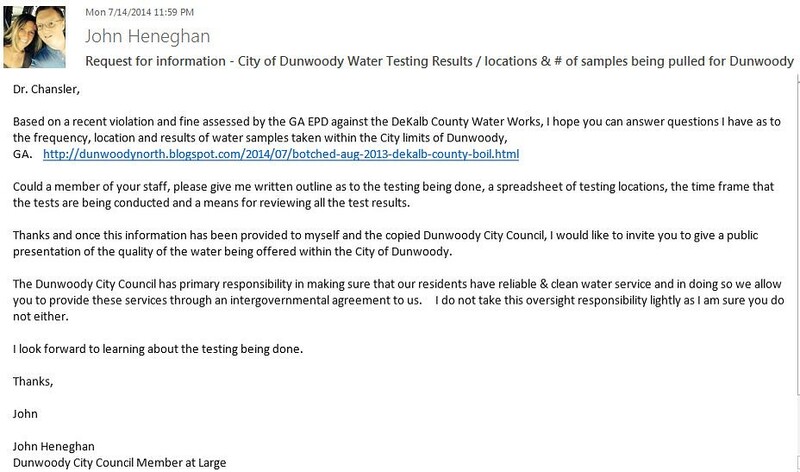 DeKalb County Watershed Management provides City of Dunwoody 377 water test results over the last six months. Based on this story, limited annual reporting and problems being reported in other cities; I decided to request information on the water quality testing being done by DeKalb within the City Dunwoody. The City of Dunwoody trusts through an intergovernmental agreement that DeKalb Water will provide clean efficient water service to our citizens but as the person raising the possible issues with service (and being an elected official), I saw it as my responsibility to verify quality compliance. Below is the reply from Mr. James Chansler, the Director of DeKalb Watershed Management where he provided me with three attachments including a spreadsheet of the tests conducted within the City. I have reached out to Mr. Chansler, thanked him for the information and offered him an opportunity to present these results and other pertinent information to the community during a City Council Meeting. In fact it is a standing offer, welcome anytime. If anyone has questions regarding the tests conducted, methods of testing or the results; please feel free to reach out to me any way you like but I would prefer that the questions and comments be posted to the comments section in this blog in case another member of the community (or DeKalb) might have the answers. I’m sorry it took a while to put together the package of information to respond to your request, but I wanted it to be comprehensive--I think a cursory response would only leave more questions. I’ve attached an overview of USEPA/GEPD guidelines, the DeKalb County DWM laboratory and testing procedures, and spreadsheets for results from water sample testing done for Dunwoody this year. To be sure, drinking water system protection regulations are multi-layered and conservative at every level. Boil water advisories are issued in an abundance of caution and they happen at all water utilities (I have been through hundreds in my career.). The area determined to be included in an advisory is a judgment call based upon many things including--among many other potential factors--an evaluation of calls regarding reduced flow or pressure, exclusion of an area being cut off for non-payment, and a review of available plant telemetry information. And this judgment call is often made in "the heat of battle''' when employees are rushing and struggling to restore service. In a follow-up review with our regulatory partner after the August 2013 event, we conceded that this advisory area might should have been larger. However, it is important to note that all water quality sampling after the event showed that there was no contamination of the system (I have never seen contamination after a pressure drop in a system). These test results confirm that no DeKalb water customers in or outside of the boil water advisory area were at risk as a result of the August 2013 event. We are using the event as a learning experience...and so are making some changes to help these folks that are in what is always a scramble to restore service. For example, we are installing more pressure reading devices in the system to help us better gauge the extent of issues of this nature in the future…and assigning the person responsible for determining boil water advisories to a group not involved in "the heat of battle" noted above. The dedication and loyalty I've seen from the many professionals in our water industry is the reason that we have a safe and reliable water supply throughout our nation. I hope this background information helps to put the process into a larger perspective. Overview of testing and results. The Water Production Laboratory is a branch of the Operations Division and their primary function is to conduct all required sampling under the USEPA Safe Drinking Water Act for a large system. Georgia has Primacy from the USEPA and conducts all of the reviews, regulatory investigations and compliance activities through the Environmental Protection Division (EPD). As part of this process the laboratory is required by the Georgia Environmental Protection Division to monitor the water quality of the distribution system of DeKalb County. The lab samples and tests the source water from the Chattahoochee entering the treatment plant and the final treated water as it enters the distribution system. Internal process samples are conducted by the plant operations staff under their licensure as part of the plant process control. Our staff is well educated, experienced, trained and certified individuals who also maintain the lab certification to be able to conduct these tests. Chemical and bacteria testing are performed daily on the source water. The results of these analyses are used as part of the process control to establish chemical treatment rates. During the treatment process, the water is monitored hourly, 24 hours a day, 7 days a week by the licensed plant operators. Bacteria samples are collected every 8 hours for total coliform and heterotrophic plate count. Based on DeKalb’s population of around 700,000, the system is required to be sampled in at least 720 distribution different sites. DeKalb currently has 769 sites so that if a site becomes un available anywhere in the County we will not go out of compliance. These sites are required to be sampled every three months to assure a minimum of 240 samples per month. The distribution system is divided into different areas for our sample routes. For example, on Mondays samples are collected in the Dunwoody area, Tuesday is North and Central Decatur, Wednesday is Central and West DeKalb, Thursday is Lithonia and South DeKalb and then Friday is the Tucker area. A total of 65 samples per week are collected routinely Monday through Friday. The primary focus on this sampling is to check for chlorine residual and total coliform. Chlorine is the residual disinfection chemical we maintain in the system to protect the system from any additional contamination that might occur after the water leaves the plant and before I arrives at your tap for use. Total coliform testing is used to monitor the system for any potentially harmful bacterial contamination that could occur from compromises in the system such as leaks, cross connections or other issues. This is one level of protection in a variety of measures in place that include backflow control valves at business and industry sites, backflow devices in residential meter sets, operation of a Call Before You Dig location system to help prevent hits on our water lines, construction/building inspectors, plan reviewers, and several hundred employees working in the field who also protect the system. We do have staff for the field 24 hours per day. These components work together to provide a very thorough system to protect our water quality. As part of the sampling tests for pH, fluoride, iron and temperature are conducted. If a sample tests positive for total coliform, the lab analyst returns to the site to do a resample at that site and also at sites upstream and downstream of the original sample point. The majority of the time all of the resamples are negative for total coliform. Occasionally, the original sample is positive again, but the other samples are negative. In this case, the lab calls the business that had the positive sample to inform them they need to call a plumber to check the faucet. The lab has never seen an instance where all the resamples came back all positive which would indicate a problem in the system. In addition to the required routine sampling, the lab also samples for main break events or any other situation when there is a possibility of water contamination. The number and area of samples is situational dependent on the size of main break, type of break and the area affected. The production laboratory also samples for new main sterilizations and renewals before these systems are allowed to be connected to the main distribution system. This type of sampling is done as needed when contractors call for an appointment. It takes two consecutive clear samples on separate days for the lines to pass. The lab is also responsible for handling customer calls and sampling if determined necessary to assist the customer with their water quality concerns. Many of these calls turn out to be aging piping systems in the houses that are leaching iron which causes a discoloration of the fixtures and water in the house, failing hot water tanks which contribute granular forms of water hardness in the plumbing or as simple as air in the water which causes a grey discoloration and clears upon standing. Annually the lab also puts together the SDWA required Consumer Confidence Report which tells about the water quality for the pastyear to include any violations that have occurred related to the required elements. 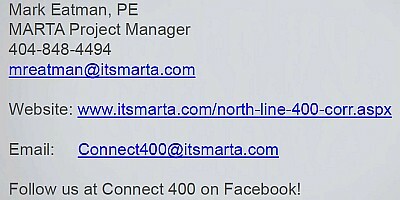 This is sent out and placed on our website, DeKalbWateshed.com at this time of year. Attached to this is a spreadsheet showing the sample results for the Dunwoody area for the first six months of this year. 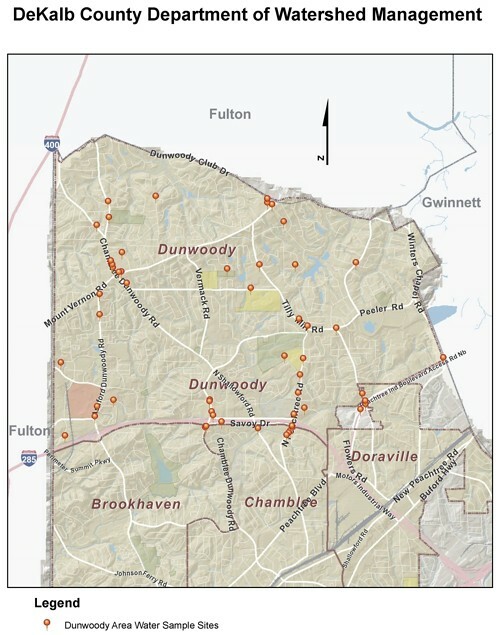 The map shows the distribution of the sample sites in Dunwoody Corporate limits of the 159 sites in this part of the County we use. We try to use business type sites so we have access to the site at times we need to sample. Residential sites pose access issues for taps that are used frequently enough to refresh the water from the main to the inside tap. 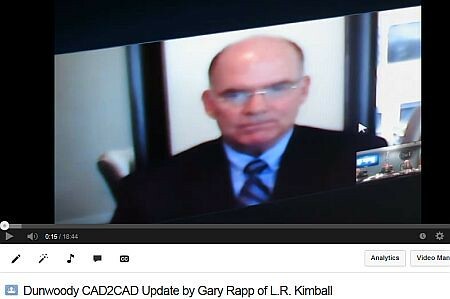 Gary A. Rapp of LR Kimball gives update on City of Dunwoody CAD to CAD Interface project. 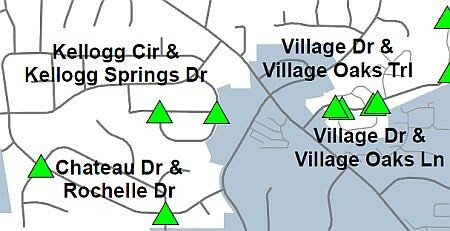 Full Map of Duplicative Intersections in Dunwoody. 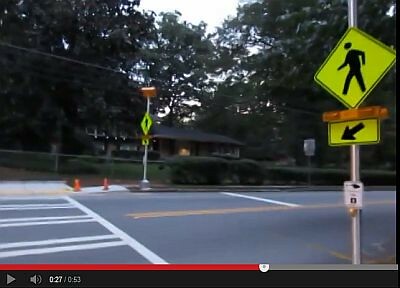 In July 2014 the city of Dunwoody partnered with LR Kimball (Kimball) to manage the completion of the Computer Aided Dispatch (CAD) to CAD interface project. Kimball has been tasked with reviewing the work completed to this point, diagnosing the feasibility of project completion, and motivating the CAD vendors to complete any necessary development work in order to utilize the interface in the live environment. Based on a review of the work done to date, the CAD to CAD interface appears to be fully functional with the exception of validation of calls involving intersections. The Intersection problem is related to the different ways that the 911 centers identify these locations and supplemental information attached to the intersections. This supplemental information attached to the intersections by DeKalb, such as odd or even numbering or association with fire response configurations, ends up identifying a two street intersection as up to 4 different locations. So rather than seeing, as an example, Mount Vernon and Chamblee Dunwoody as a single location, it could be identified as 4 different locations. This results in a pop-up window asking the DeKalb call-taker to confirm the location. Not all intersections have this supplemental information. The DeKalb CAD vendor is unaware of how the source data came about and does not produce this data, simply being a user of the database. We will review the database of Intersections and their supplemental information to determine if the supplemental information actually impacts how a call will be handled by emergency services personnel. If the supplemental information is not useful for the immediate response of emergency services we will review the process to exclude it from the call process. If the data is required, we will review the steps necessary to produce the supplemental information for each call so the intersection can be fully identified sufficiently. Even if not required for the immediate response of emergency services, the data should not be deleted as it may be used in other ways. It would simply not be used for this process. Given the recent transition to Kimball for project management, we are still diagnosing the feasibility of project completion. Ultimately, the project’s success or failure is externally dependent upon CAD vendors for both 911 centers serving the city. 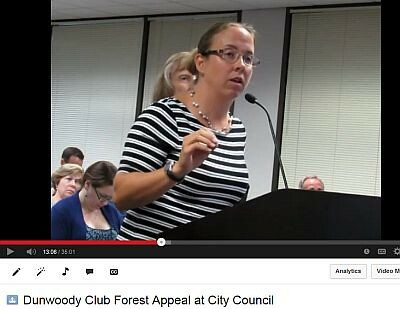 Appeal of Administrative Decision on Dunwoody Club Forest was deferred for two weeks as Council asks for more information. Appeal of Administrative Decision for the Approval of a Revised Final Plat at 5258 Vernon Lake Drive, Dunwoody, GA 30338. The Tax Parcel Number is 18 374 03 017. FIRST READ: RZ 14-081: Pursuant to the City of Dunwoody Zoning Ordinance, Applicant, Stacy Patton, on Behalf of Minerva USA, LLC, Seeks Permission to Rezone Property Currently Zoned Office-Institution (O-I) District to Multi-Dwelling Residential (RM-100) District to Allow for Construction of 55 Townhomes. The Subject Property is Located at 4330 Georgetown Square, Dunwoody, GA 30338. The Tax Parcel is 18 345 03 007. Discussion of Sustainability Plan Adoption. Discussion of Agreement with Georgia DOT for Signal Communications Network Project. Discussion of Streamlining Resident Catering License Fees. Discussion of Contract With Federal Signal for Public Safety Video Project. Convention and Visitors Bureau of Dunwoody Celebrates Five Years! 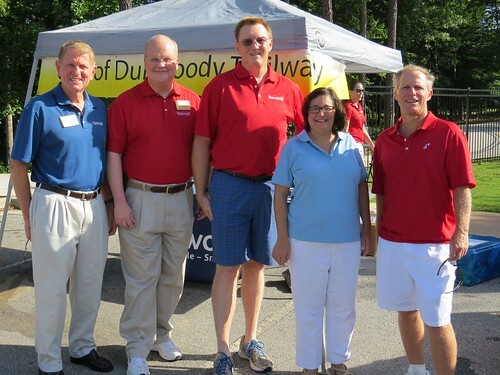 Tourism in our small community is an important part of Dunwoody's economic landscape and the Convention and Visitors Bureau of Dunwoody (CVBD) is proud to celebrate five wonderful years of supporting Dunwoody tourism! 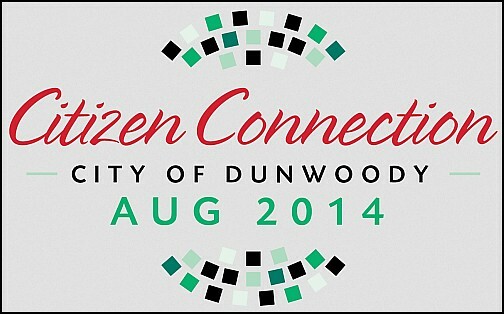 Established in August 2009, the CVBD is the official destination marketing organization for the City of Dunwoody. A non-profit 501(c) 6 organization, the mission of the CVBD is to generate economic development for Dunwoody by effectively marketing the facilities of the community and the surrounding areas as a preferred business, convention and tourism destination. The sole source of funding for the CVBD is provided by the dedicated portion of the hotel/motel tax, as required by Georgia law. The CVBD team is comprised of five employees who work diligently to promote Dunwoody as a destination for leisure and business travelers. Hosting unique promotions, such as Dunwoody Restaurant Week, seasonal campaigns promoting Dunwoody hotels, and expanding the various shopping and dining opportunities, the CVBD is able to focus their marketing on the strengths that this thriving community has to offer. A central location allows the CVBD to target Metro-Atlanta residents and visitors who regularly enjoy Atlanta's attractions and events, while up-scale hotels and meeting space makes this destination a wonderful option for corporate meetings, weddings, family reunions, and other group business. In five short years, Dunwoody has developed into a perfect destination to visit and it's the CVBD's job to assist in driving that interest. While most of the CVBD's efforts are directed outside of Dunwoody to attract visitors, meetings, and groups, it offers resources that residents can enjoy and use. All are free and easily accessible. All residents are invited to take advantage of the CVBD's services and resources to promote Dunwoody as a destination to help the businesses, hotels, and City thrive. 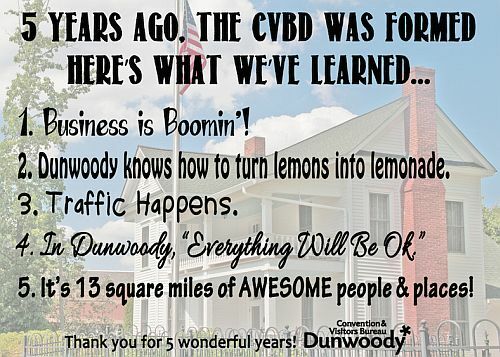 For more information about the Dunwoody Convention and Visitors Bureau services and how the CVBD can benefit you, please visit www.CVBDunwoody.com or call 678-244-9800. 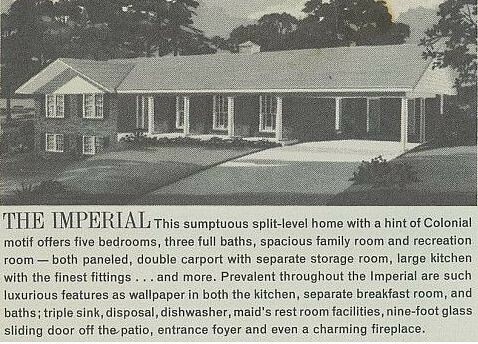 1965 new home brochure from Dunwoody North subdivision showing various models and a list of orginal members of the swim tennis club. DUNWOODY NORTH represents "The Ultimate in Luxury Living." There is none finer! Here you have an unsurpassed combination of features comprised of fine homes superlatively designed and meticulously constructed, select land with an abundance of gracious trees, and accessibility to downtown and all conveniences. Dunwoody North truly defies description and must be visited to be fully appreciated ... it's just that extraordinary! No effort or expense has been spared to establish Dunwoody North as a place to reside, absolutely without equal. Another interesting discovery was the original list of members of the Dunwoody North Driving Club which is the neighborhood swim tennis association. These original members, borrowed money / put their houses up for collateral to fund the construction of the facility as well as put in an extraordinary amount of their own labor to build the club. I was told that Peachtree Industrial was just under construction during this time and the members hauled excess dirt from that project in their pickup trucks to fill what is now the four tennis courts. Below is a historical account from one of the original members. Today our neighborhood is thriving and real estate prices are soaring because of our "close in" location. New houses are being built along Tilly Mill and young families are revitalizing the area schools. Just recently the parents of Chesnut Elementary elected to convert to a Charter School where the Parents are setting the standards and helping the administration run the school. The Dunwoody North Driving Club has just completed a major overhaul of the facilities by resurfacing the pool, renovating the pool house and reconstructing the four tennis courts. The Club also has the highest membership total in the thirty five years of existence. Tools of the Press in the Digital Age - Arrests, Mug Shots, Grand Jury Presentments, Public Records, Open Records Requests and Social Media. News Tidbits for Reporters looking for stories. One of my favorite websites has been shut down for about three weeks now and it is probably gone forever, therefore some reporter out there looking for a story might want to check out why http://www.dekalbmugs.com and its sister www.gwinnettmugs.com is now shutdown. 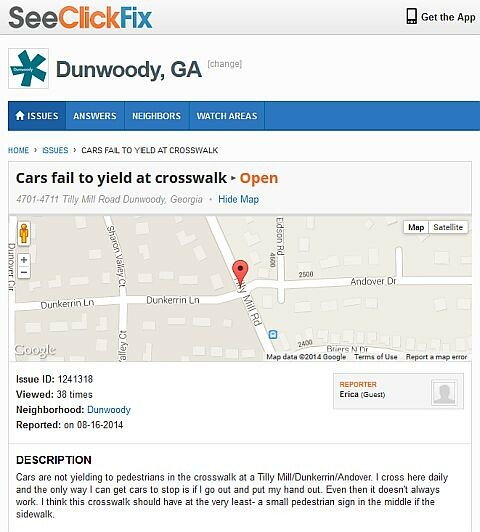 Much like my grandmother who use to read the obits to see if she had passed, I looked forward to the daily e-mail from the Community Watch service of DeKalbMugs telling me who was arrested in the zip codes around Dunwoody. (It also highlight by address which apartment complex had the residents who were arrested and on what offense.) Sad to see it go and I will have to remember to pull up the Dunwoody Daily Bulletin and the DeKalb OJS for similar info. Question - Why does the DeKalb DA fail to populate Grand Jury Presentments on its website and a better question to ask might be why was the only item posted in over a year, posted at all? Was it because it was a negative reflection on DeKalb County Government and the running of the jail by the Sheriff? Was it posted for political reasons or was the lack of everything else not posted for the same or different political reasons? When only select public documents are posted, it raises concerns as to the reason behind the posting. FYI, I did an open records request back in 2011 after DA Robert James was in office for awhile where I was looking for the Grand Jury Presentments as they are public records and to remind him and his office that they should all be posted online. It looks like I will need to do another open records request once again? About a week ago, I received an anonymous email to review a website pointing to documentation on DeKalb County Commissioners "supposed" use of purchase cards for possible unauthorized reasons. Someone went to quite a bit of trouble to review years of documents to find and post at least one questionable purchase on five of our current commissioners. When I received the email, I figured it was sent to a large bcc list of folks and that I would see it in the news. Since I hadn't, I sent out this tweet and because of it I am still getting requests from various reporters asking for the details. For what it is worth, the email asked me to look at http://www.dekalbopenrecords.com unfortunately like the situation with the DA's office above, highlighting limited documents, limits the credibility of the source. I wish the DeKalbOpenRecords site scanned and posted all of the purchase card records for everyone, to see everything. Maybe that is the FBI's job? Back on July 9th, I posted a report from WSB-TV that showed that our DeKalb Water System wasn't properly warning us of issues and that they were fined for the infraction. I mentioned this at a Dunwoody City Council meeting and then decided to personally reach out to DeKalb to verify for myself the level of testing that was being done on the water we drink. On July 14th, I requested water testing data from Mr. James Chansler the Director of DeKalb Water and I received a nice reply on the 16th stating... "I have asked our operations folks to gather the sampling information and will reply to your inquiries soon." In light of the EPD violation and the recent issues in Toledo and West Virginia; three weeks is enough time for me to wait as the official time limit for open records is much less. I will post all documents upon receipt. Since I am a long time member of the Atlanta Press Club (though not considered a journalist) - I figured I would share a conference that I will be attending entitled "Journalism Next - Thriving in a Digital Age" that is being put on by the APC and the Center for Collaborative Journalism at Mercer University. I am really looking forward to a number of the sessions, in fact it looks like I will miss my friend David Clinch's presentation on "We’re in the Curation Business" for the personally relevant "Hyperlocal - Locally Sourced News" conversation. It should be interesting, if you are into this type of thing.